As a municipal energy supplier or distributor, you are not only at the centre of the energy transition, but also face a fundamental change of the energy grid, due to the implementation of the statutory requirements (Act on Digitisation of the Energy Transition), and thus further demanding challenges of the restructuring of the energy market. The draft of the Act on Digitisation of the Energy Transition was highly appreciated, when it was first presented as a draft bill in September 2015. The preceding contents from the benchmark paper of the BMWi of February 2015 were largely adopted, partly extended, or cancelled, when the requirements for the industry were too high. Today, no one doubts anymore that the installation of intelligent measuring systems (iMsys) and modern measuring equipment will start in January 2017. The basic prerequisites for a successful installation and operation of iMsys have not been completely specified, implemented or even practiced today. In order to get an overview concerning the installation and operation of the devices and their connection to downstream systems, it is important to develop one’s own position with regard to the future direction of the company in the field of metering point operation. 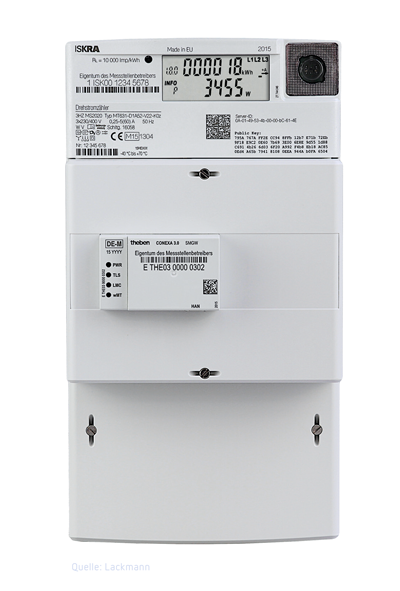 Currently, we are on the way of developing and certifying BSI-compliant Smart Meter Gateways. This is already the 3rd generation of approved devices. The gained experience from the first designs will be fully implemented in the current devices and system components. We would like to share our findings from numerous reference projects on the use and operation of iMsys with you. This enables you to make all necessary decisions for the future orientation of your metering point operation, assembly department, or device dministration as quickly as possible. Right from the start, we rely on standardised protocols, processes, and interoperable equipment technology, in order to make downstream applications as flexible and simple as possible. We place a great emphasis on a modern, future-oriented architecture of our devices. Already today, we try to take future applications into account, when designing the measuring systems. 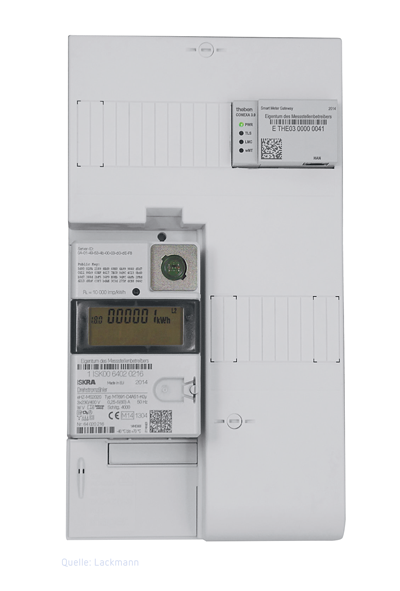 Discover our Smart Meter Gateway CONEXA 3.0 for your application in the digitisation of the energy transition. 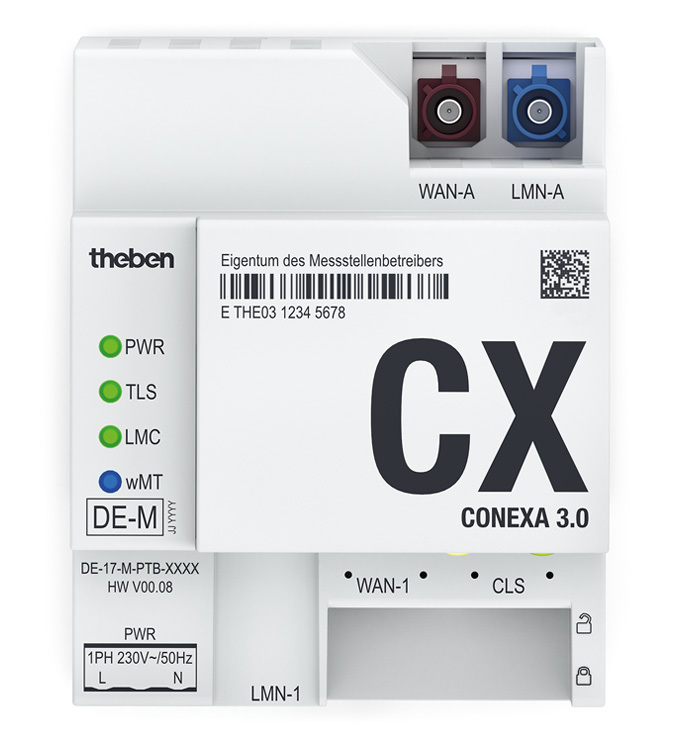 Our Smart Meter Gateway CONEXA supports the OMS 4.0 and TR/FNN standards for modern measuring systems (meters). In the field of administration IT, we have worked with key enterprises on the market, for several years. Maximum data security thanks to cryptographic ciphering methods in accordance with the Protection Profile specifications (PP for Smart Meter Gateways) of the German Federal Office for Information Security (BSI). Maximum investment protection by remote updates and individual adjustment of the software in the safety and functional area of the devices. Minimum investment costs, even for large home or office complexes through multi-client capability. The various measuring systems for gas, water and heat are also supported. Easy installation with plug-in connectors according to the specifications of the FNN, as well as optimisation of the devices for quick installation due to well positioned LEDs for function display, and draughts for good mounting of the FAKRA- antenna. 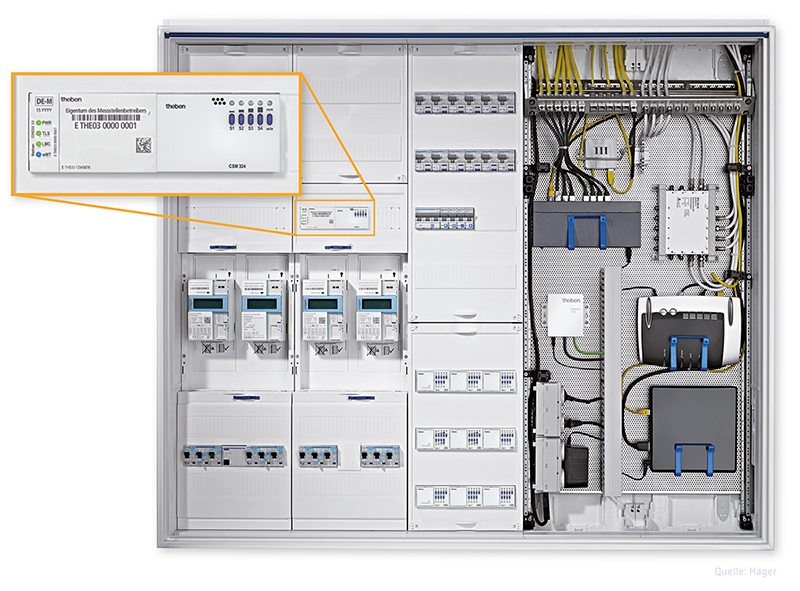 The eHZ meter cabinet with pluggable measuring technology is the optimum centre for a modern and up-to-date system architecture. It is optimally suited for the installation of intelligent measuring systems (iMsys) and expansion units – e.g. the control box for lawful switching of EEG plants. Also for the integration of iMsys into the building system technology (KNX), the technical centre offers excellent and flexible opportunities for new construction and renovation. Most likely, the installation of the 3 point version will be the most common installation scenario of iMsys in Germany. For this purpose, the basic meter as per FNN specifications is ideally suited. 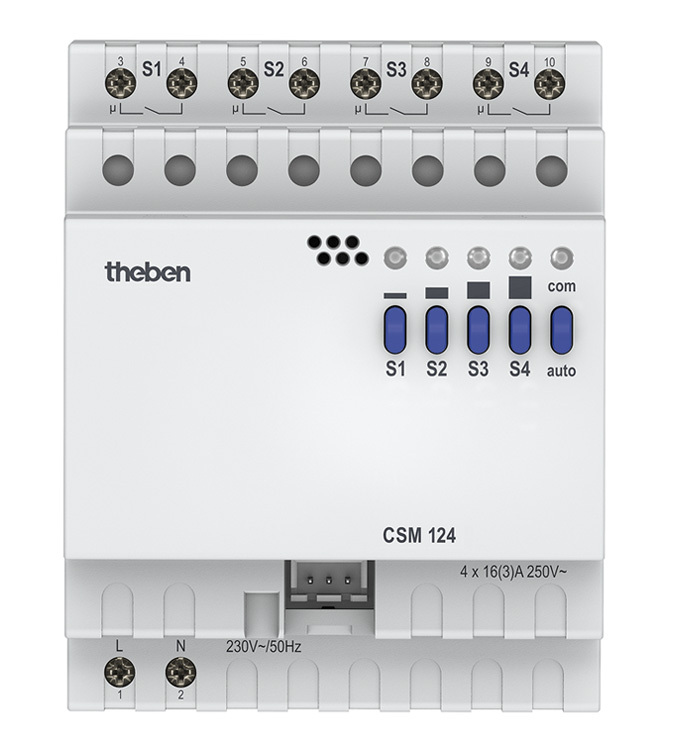 With its DIN-rail, it offers flexible mounting options for the Smart Meter Gateway and further switch and control devices. measuring systems, or the system landscapes connected to them.